I don’t think I’ve actually spent that much more time reading this month, I just really got in a groove and read things quickly. I don’t see how I can keep up this pace, but I’d have to fall off terribly now to not hit my goals. Eight books in a month, even if two of them were rereads, is hard to beat. I am very happy with my reading pace so far this year. A couple of years ago, I read the first book in the Farseer trilogy, Assassin’s Apprentice. I liked but didn’t love it. I had always intended to get to the other two, but I didn’t actually pick them up until just after Christmas. I am glad I did. Royal Assassin is still a frustrating read at times, but it grows stronger the further it goes until it absolutely has the reader by the end. 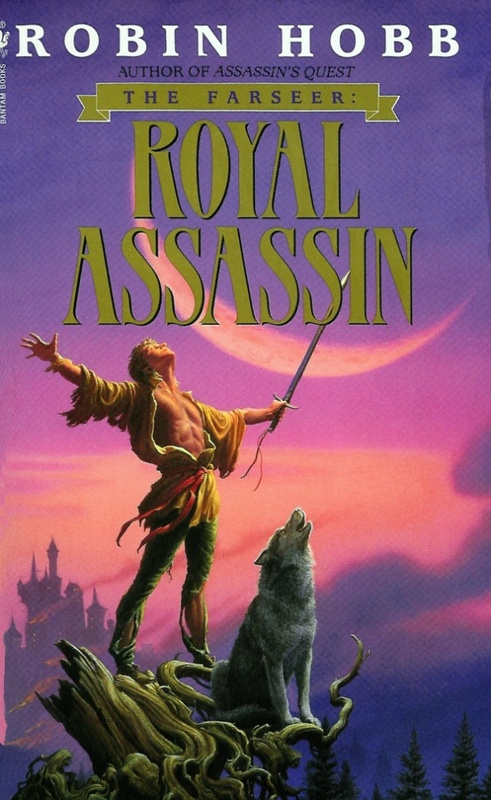 It picks up a few months after the last book left off, with Fitzchivalry Farseer, the apprentice assassin, struggling to overcome his poisoning at the hands of is uncle Regal after he had prevented an assassination attempt on his other uncle, Verity, and arranged a marriage between him and the princess of a neighboring kingdom. After lying in bed sick for some time, he finally decides to head back to the castle and help out his family again. 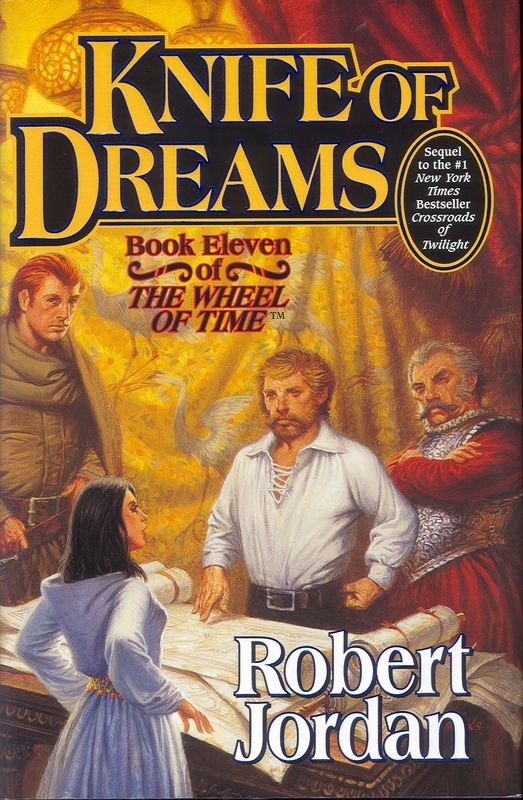 The book is told from Fitz’s point of view, so the reader largely only knows what he does. Now being an adult, he has a lot more difficulties to manage. He has more responsibilities as assassin, riding through the countryside and poisoning the Forged, who have been made basically zombies by villainous Raiders. He also is often the sole source or comfort for the new Princess and he has to deal with two princes: one distracted one vengeful and a King whose health is failing. Eventually things build to the tragic, yet inevitable conclusion where Fitz pretty much makes things worse while trying to set things right and pays a very dear price for it. While for the most part characters motivations and actions are clear and coherent, at least eventually, there are some odd parts. Fitz realizes early on that the King’s health is not being cared for properly, but no one makes any move to help remedy this. It plays a big part of the ongoing story and only Fitz and one other character seem to care. Also, while the Kingdom of Six Duchies is supposedly fighting a war against Raiders, but at no point are the Raiders actions or motivations explained. While the desire to fight the Raiders is the foremost problem for most of the book, they are a complete nonentity. And while it makes sense that Prince Regal would escape without repercussion from the events of the last book, but why does the unfaithful coterie (essentially wizards) continue to operate unheeded? None of these are huge problems, but they all add to each other to make the book are frustrating as it enjoyable at times. In the last book, Prince Verity left to seek the Elderlings to help combat the Raiders, only to lose contact with everyone but Fitz. (Spoilers for the end of the previous book) Fitz is believed dead by nearly everybody. Now that Regal has had the King killed and named himself King, he has moved himself to his mother’s home. Once he recovers, Fitz takes it on himself to live up to his title as the royal assassin and kill the treasonous Regal. He treks across an increasingly dangerous countryside and after a failure that nearly cost him his life; he is again contacted by Verity and goes to help him, taking with him a handful of others. I don’t want to spoil too much, but this book changes things completely from the first two. Those two took place primarily in the Castle at Buckkeep, in this one Fitz ranges all across the kingdom. No longer is he beholden to the king; now he is the one in charge. He might not necessarily choose his path, but he does choose how to walk it. It also deals more directly with the magic and myths of this world. It also leaved behind many of the characters from the first two books and fills out the cast with newcomers. 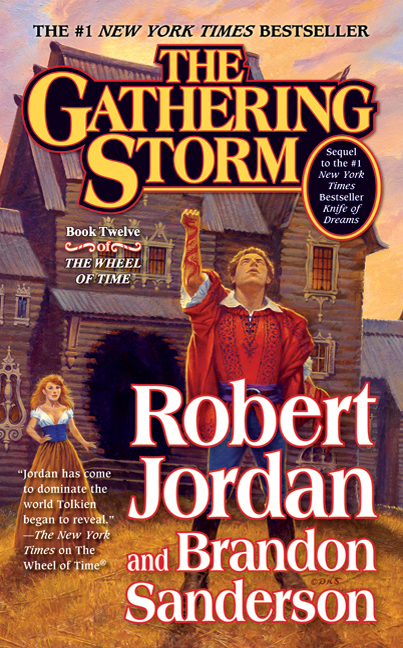 I think it is the best book in the trilogy, but it is not without its flaws. One is similar to the previous books, that being told from only Fitz’s perspective is needlessly constraining for what in many ways is a sprawling tale. There are interesting and exciting things happening to characters readers grew to know in the first books that are glossed over here. And again the nature of the war that they are supposedly fighting is left vague and unsatisfying. Luckily, the sheer magic of the last third or so of the book is hard to ignore. 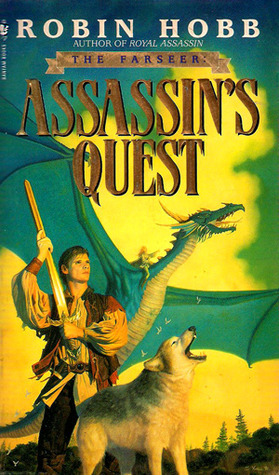 Once Fitz truly sets out for the realm of the Elderlings, aided by the Fool and Queen Kettricken, among others, Assassin’s Quest is impossible to put down. And the nature of the Elderlings and how they are summoned is spectacular. Like everything in this series, even the brightest of victories are laced with tragedy. It seems odd, but somehow fitting, that the usurping Prince is pretty much ignored in the final conflict. For much of the book he was focus, but again at the end it goes back to the vague evils of the Raiders, who in the absence of a useful King have conquered much of the coastal territory of the Six Duchies. Really, the book lives and dies by how much the reader likes Fitzchivalry. He is a great character; flawed but earnest. He can be frustrating to read about, but more often he is all too real. Another Kindle book I picked up on a whim. 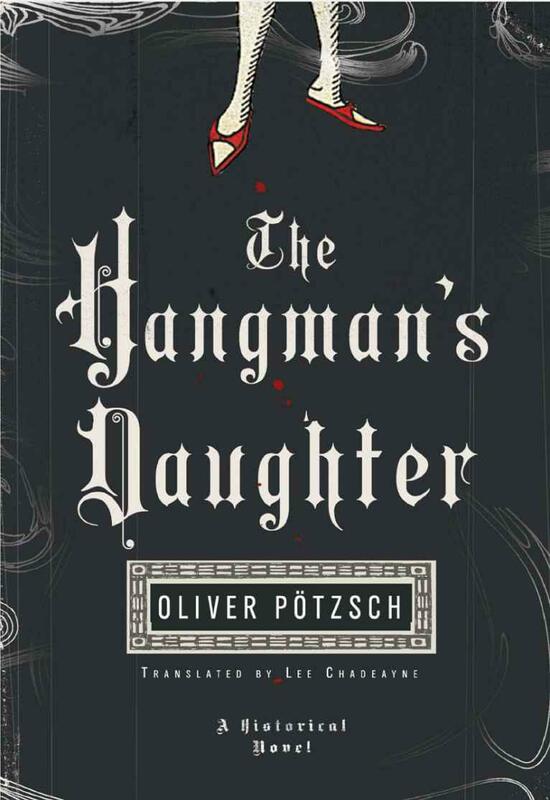 The Hangman’s Daughter is a mystery set in 17th century Germany. A local orphan boy is found dead with an apparent witch mark on him. The villagers attack the local midwife, who was known to spend time with the orphans and midwifery is basically witchcraft anyway, right? While the authorities lock her up, only the Hangman and young doctor trying to find the truth of the matter. The biggest selling point of The Hangman’s Daughter is the setting. The stigma of being the hangman, witch hunts, and the supposed medical care of the time are all big parts of the book. The mystery itself isn’t bad, though it is a little frustrating how obvious suspects are ignored by everybody. Oddly enough, the titular daughter isn’t really the focus of the book. She is a prominent character, but she is more of a subplot than a central one, at least until the very end. There is a pretty chilling section in the middle when the hangman must do his job in torturing the suspected witch, which is hard stomach and historically interesting. In all, it is a highly entertaining read, but far more good that great. This is supposedly one of Christie’s least liked books that she wrote. I don’t know why, it seemed perfectly fine to me. Not the best of hers that I’ve read, but also not the worst. The ending doesn’t feel so strained as some others. There is a lot of build up to start with book, with a cheating husband, a stifled but selfish wife and her controlling dad as well as a slew of other characters. 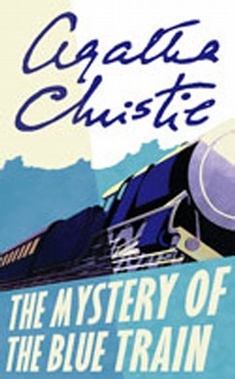 When Hercule Poirot rides the same train as most of those characters, along with newly rich Katharine Grey who inherited a ton of money and is going to visit relatives, the wife gets killed and it is up to Poirot to solve the case. One interesting note about the Blue Train is that it features the village of St. Mary Mead, which would soon be home to Christie’s other prominent sleuth Miss Marple. That is where the heiress hails from. The mystery gets untangled fairly quickly, with a lot of time spent with Miss Grey, who assists Poirot on the case, meeting with her quite unique family. Most of the time the investigation focuses on the husband, who is too obvious a culprit to even be considered a possibility my most readers. What is uncovered is never preposterous but never obvious either. It is a slight book, with subplots and set up overwhelming the mystery, but it all comes together quite well at the end. Another Poirot mystery. 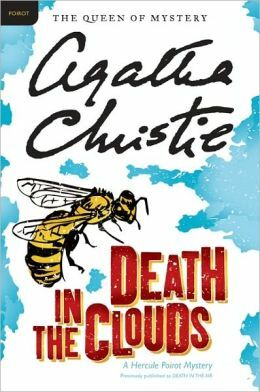 This time a murder occurs on an airplane with Poirot onboard. It becomes a not quite locked room mystery, with only the passengers as possible suspects. The group of suspects here is a good one, with a very obvious and easily discounted pair of archaeologists, a few rich ladies, a doctor and a dentist. On the flight, a blackmailing money lender is killed, maybe by a rogue wasp or maybe by a poisoned blow dart. Poirot is the initial suspect of everyone but the police. He goes about ferreting out the various motives of the different passengers, with the help of a few other suspects. The eventual solution is fairly ingenious and surprising, without breaking the fairness of making believe that a reader could solve it before the ending. Though I doubt any would with this one. 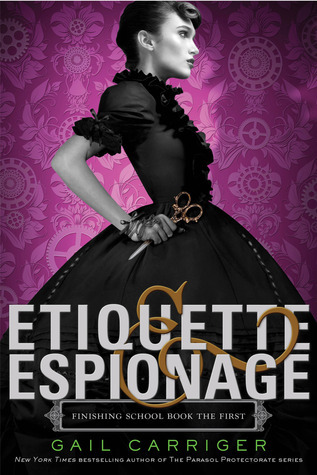 This series of young adult steampunk books came highly recommended and very cheap from an Amazon sale. This first book is fairly entertaining. Still, I found it to be slight even for a young adult book. Everything is just as presented, with no real twist outside the premise and a finishing school for spies and assassins. I know this is set in the same world as another set of novels that Carriger has written, but here the world building is slight. It gets by with a fast pace and something new to be found all the time, but it still feels really barebones. Every character except Sophriona, the protagonist, is summed up upon their first appearance and never deviates. What there is of a plot is dealt with rather perfunctorily. My biggest problem with it that I am never quite sure of the rules the world of this book operates on. It comes across as overly precious at times, making jokes about people proudly being evil geniuses but not really backing that up with a world where that fully fits. I hope the next two books do a better job of giving the reader a solid footing of how this world works.